I am looking for the name of this place. Last edited by cwett; Feb 18 2010 at 09:54 AM. Ruins from before 1000 AD? No it is not south of the States. Hans they are in Asia. In a country with a sea coast? Yes it does have a sea coast. Woo! Yes it is in Iraq. Does the city name start with letters A-M? Well I know we are not on the second page yet... but I've three correct answers so I think we're god . 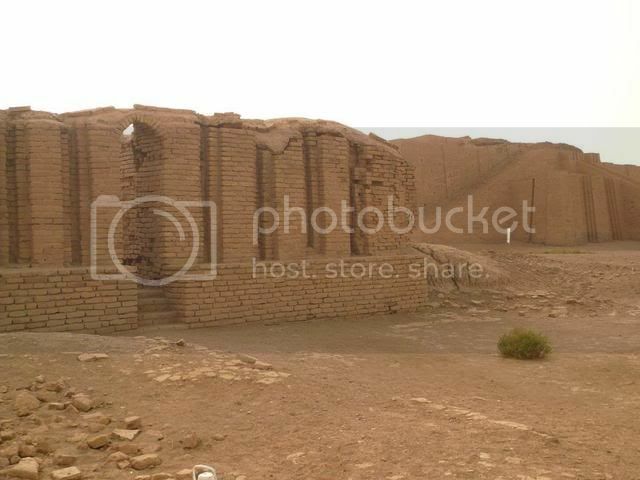 The answer was the Ziggurat of Ur located near Tallil Air Force Base in Southern Iraq just outside of the city of Nasiriyah. I was stationed there from Aug 2006 to Nov 2009. It is also known to be the home and birthplace of the biblical Abraham. 82nd Airborne... i'm on the steps somewhere ... thanks for letting me share!